Is Freemius the Right Choice for your Plugin or Theme Business? Freemius may sound like a background character from Game of Thrones, but alas. Freemius is a WordPress plugin service with a really neat concept: you can sell your plugins and themes through the WordPress dashboard instead of using an external marketplace. You can also collect data about usage, activation, and deactivation that may help development decisions. It’s should not be surprising that Freemius is aimed at–drumroll, please–freemium apps. (Get it? Freemius…freemium? Hilarious.) Freemium is the catch-all for those apps that have a somehow-limited demo that you get for free and are prompted to upgrade to unlock its full potential. Freemius’s whole shtick is that it offers free and freemium developers a toolset that not only gives them data on users’ activation and deactivation habits, and software usage and versions, but also has an integrated sales component within the plugin itself. It’s a pretty neat concept, but does it work? 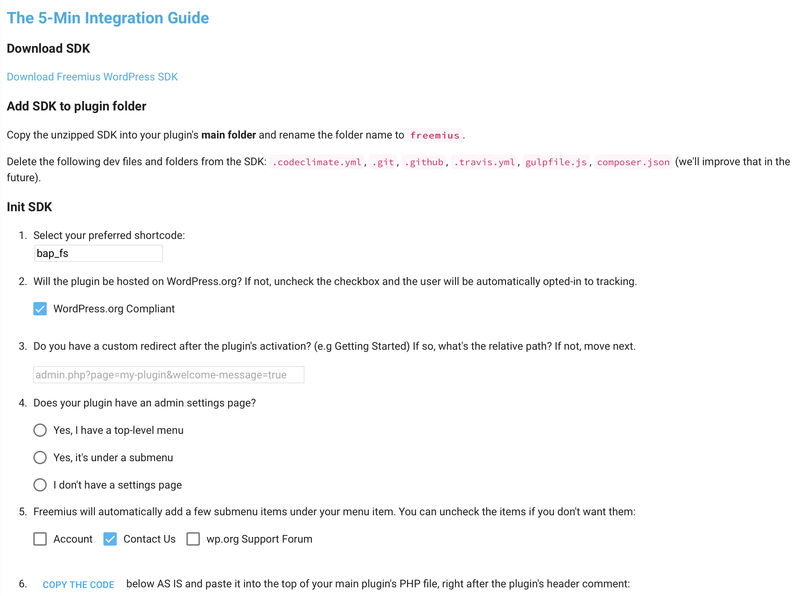 And as a plugin or theme developer, is it worth the integration? That depends. But I’ll do my best to go through the highlights as I see them so you can make an educated decision. 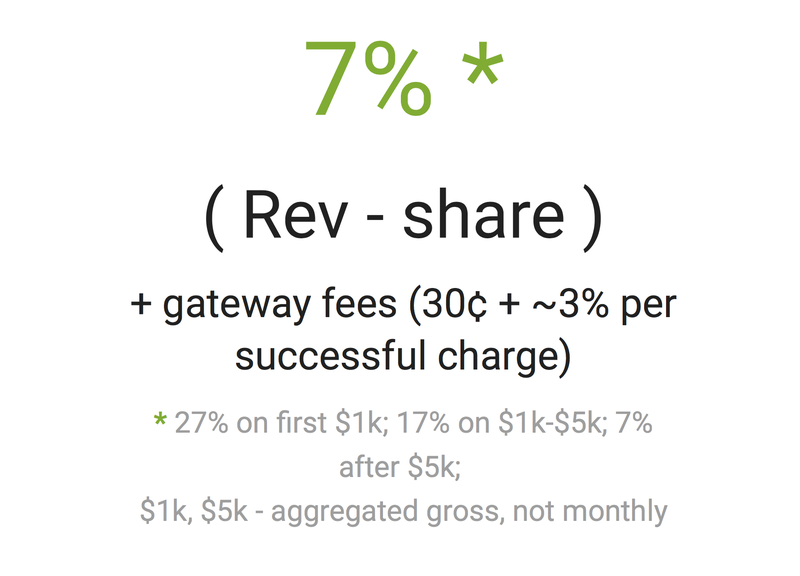 Freemius does a ton of stuff that’s broken down into three subsections: Insights, Checkout, and Revenue. You can see everything they offer here, with direct comparisons to other products you may be using. That won’t work for everyone, obviously. But if you’re a dev who’s shelling out more than 7-10% on platform fees already, you should at least check it out. What I do think is awesome about Freemius, though, is how it doesn’t cost anything if you have an unmonetized plugin or theme. You know who you are, you generous, open-sourcers, you. If you’ve got a free plugin or theme out there in the wild, you can access Freemius’s features without paying anything. Because, you know, percentage-based models and free stuff don’t jive. It’s easy to set up, and data is great for nerds like us, so I am really not seeing much of a reason not to use it with free plugins. From where I stand, there’s not a downside that I can see. If you’re a data junkie like me, this is where the meat-and-potatoes of the service comes in. I rarely make a decision about anything without weighing data in one way or another, and I assume as a developer and business-person, you don’t, either. As soon as you sign-in, you’ll see some videos that give a brief overview of each feature (watch them, obvs) and a button on the left that says Add Plugin/Theme. When you decide to add your plugin or theme, click the button and enter the info. Note the highlighted snippet: If your item is listed on the WordPress.org repository, use the exact same slug. When you’ve followed directions and have everything set up, you’ll have full access to the Freemius SDK and dashboard for data and everything else. The hardest part of Freemius is integrating the SDK, and it’s not even that hard. You just have to go through the steps of doing it. Like WordPress itself, they have a 5-minute install. That’s what I call staying on brand. With that done, you’re good to go. Freemius is active in the plugin and you can get data. 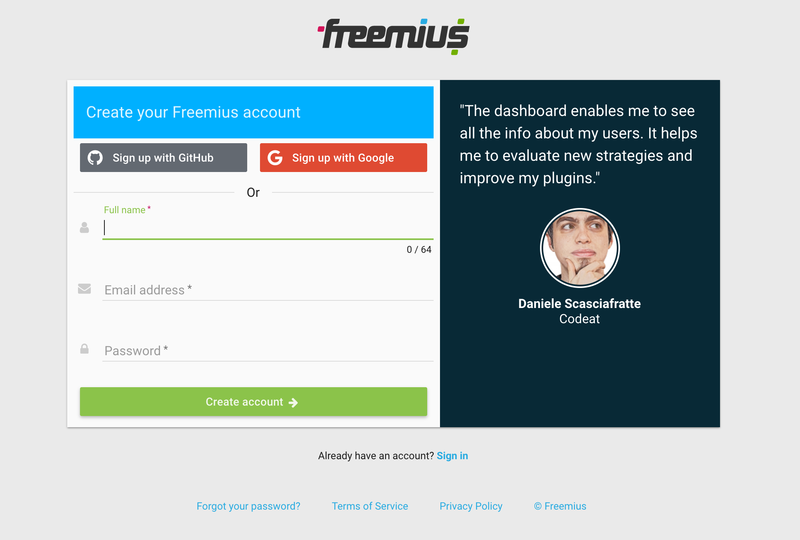 The biggest selling point to Freemius is how it collects data from your users. Upon installation of an integrated plugin or theme, users will be given an opt-in dialogue (of which 60% do, according to the Freemius website), bada-bing bada-boom…data in your dashboard. Not only are they opting in to providing your feedback and data, once they do, you get a mini-email list of users you can directly interact with. Freemius has integrations with email services where you can send updates and news and such to users who you know 100% are using your product. Those are great. And having been on the user-end of that experience, I can say it’s simple and easy and that I personally opted in for certain plugins (when I normally don’t). But as a developer, as great as knowing why people do use your stuff can be, knowing why they don’t can have an even larger impact to your bottom line. Freemius knows that, too, apparently. I uninstall plugins pretty quickly. A few clicks, a few minutes, and I can usually decide if the newfangled shiny is going to be a mainstay of my website, or if it’s just not quite a fit. I do this for good software, too, but mostly it’s because it doesn’t quite fit the niche I need filled. But I can’t tell the dev that without going to their site or leaving a review or submitting a support ticket or hitting them up on Twitter…you get the point. When there’s a Why are you leaving me, friendo? pop-up, I fill it out. Apparently others do, too. One of my favorite snippets on the Freemius websites is about how their product can end one-star reviews. And while that is obviously a heavy dose of hyperbole, they are onto something. The feedback form provides an alternative way to spill the anger. Angry users feel satisfied criticizing your plugin once in the feedback form without affecting your WordPress.org avg rate. By giving users a way to vent their frustrations directly to you, they really may not feel the need to openly criticize you with the one-star of death. Sure, if they’re really internet-angry, they’ll skewer you at every opportunity, but if they’re just normal-angry, Freemius may be able to save you some ratings and get you honest feedback. But What about Active Users? You get tons of data on them, too. From updates to WP and PHP versioning, if they opt-in, you get a pretty good idea of who your users are, not who you think they are. Outside of data analytics, a big selling point for some folks is being able to connect to your users within their dashboards, not yours. Instead of going to your website or an external marketplace like Envato or CodeCanyon to buy a license, if you’ve integrated with Freemius, users can buy within their own dashboard without interrupting their own workflow. Do they need additional scalability right then? Done and done. It helps you make a sale, and it helps them keep on keeping on. Everyone wins. And Stripe and PayPal Express are built in, so yay! I was intrigued when I saw that Freemius supports recurring payments and subscription models. If you’ve ever done a recurring subscription for users, then you understand what a real pain it can be. Whenever I finally get around to finishing up the subscription plugin that’s been rolling around in the back of my mind for a while, Freemius is going to be my first stop. A lot of the solutions are kind of a pain to implement, if you ask me. After all this, I think Freemius may offer the best solution for that pricing model–mainly because of how hands-off the whole process can be for everyone involved once it’s set up initially. So…Is Freemius Right for You? Maybe. I dunno. They do offer a lot of really nice features, and if you have free plugins and themes, I honestly don’t see a reason not to give them a shot. You’re not out anything except the time it takes to set up and integrate their SDK. If you’re making a living (or even have a side-hustle) with your plugins and themes, that’s where it gets a little more ambiguous. The up-front costs are low, but they’re regular. You’re not going to be able to outgrow them and make the costs an even smaller fraction of revenue. So really large companies may not find it as financially viable as small-to-mid-sized ones. In the end, I think Freemius is worth giving a shot simply because of the suite of features and how easy it is to get set up as a trial. If you’re on the fence about it, set it up with one of your free plugins and give it a look and report back to let us know what you think. Do you use Freemius or know someone who does? Let us know your experiences in the comments and help your fellow devs make a decision! This article is hard to follow, and littered with spelling errors and grammar mistakes. Elegant Themes, please vet your writers better. Thanks. That aside, I love your product, and appreciate your blog for the most part. How to they sell from the WordPress Dashboard? The article doesn’t say. It’s used as a pop-up within their dashboard and the plugin pages where they can unlock the features without having to go to Envato or CodeCanyon, etc. 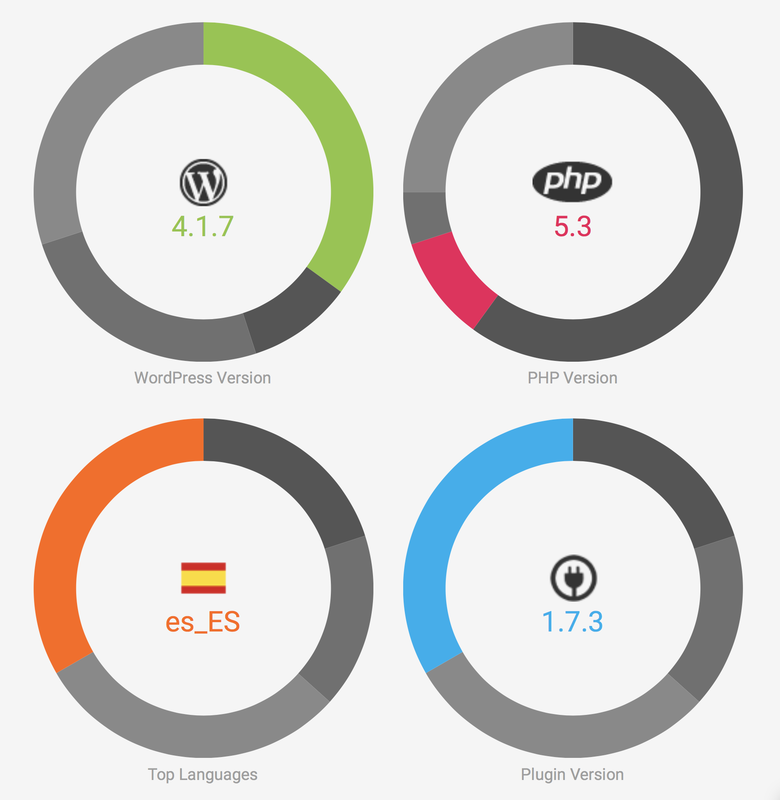 They just download the free version from the repo, and then upgrade directly within the plugin itself. The UX that is provided by Freemius is great and the SDK does provide you with various methods to implement in your plugin. For example, you can have a free part of the plugin and have the PRO feature disabled and followed by an upgrade link. That upgrade link would redirect the user to another page inside the dashboard from which they can easily buy the PRO version. No need to visit other pages. It is also extensible so you can even change all the messages that Freemius displays to users. If you have a website, you can also place their code there which will then create a pop-up with a form. Great to see Freemius get some love on ET. It’s indeed a great too if you wish to sell WordPress product. I just heard about this freemium from a developer I contacted to integrate plugin licensing into my plugin. I have read your post but I have a question to ask. Does this allow me to sell my plugin on my own website using market places like jvzoo etc and will the said percentages of charges apply if I sell on these other market places like jvzoo if it allows. Your response will be helpful because am subscribing to receive updates and new blog posts. Freemius allows you to sell from your website or from within the WP Admin of your free users (if your plugin/theme have a free version). If you like to sell from marketplaces they will be responsible for the payments, licensing, updates, etc. It’s definitely possible, we have developers that are selling on CodeCanyon/ThemeForest and using Freemius to sell the same products from their sites.